We pick up, store, and deliver your stuff––all for less than what Capitol Hill self-storage companies charge. You live right in the shadow of so many stately buildings, like the Library of Congress and the nation’s capitol. On top of being stately, those buildings can store hundreds of books and representatives. The same can't be said for your apartment, though, which can barely hold all your clothes and furniture. If you need a safe place to store your stuff but don't want to waste your time and money on visiting a self-storage unit, schedule a MakeSpace pickup. We’ll pick up your stuff, store it in our secure and temperature-controlled storage facility, and create an online photo catalog of it so you never forget what you have in storage. When you need something back, simply click the item's photo and we'll bring it straight to your door. Now you don’t have to be jealous of the Capitol’s cavernous halls. 1. Schedule a pickup. 2. Pack your stuff. 3. Relax. We'll take care of the rest. "The service was extremely professional — MakeSpace staff came on time, labelled all of my boxes for inventory purposes, and were out of my apartment within 10 minutes!" "They arrived on time, and were professional, pleasant, efficient, and very careful with my possessions. The furniture was neatly wrapped in blankets and the other items were shrink wrapped. I recommend them 100%." "I loved the option of having boxes delivered right to my door about a week before my things were moved into storage, and they were able to wrap up my larger furniture items in felt and bubble wrap. 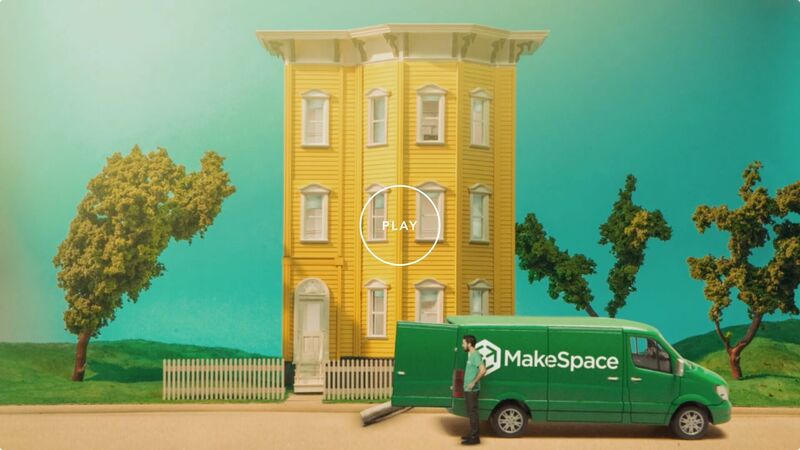 Not only was storage cheaper with MakeSpace, but it was the best moving experience I've had in DC."